Mysterious motor failures are often associated with poor power quality. As a result, the motor rewind industry has become increasingly involved in power quality troubleshooting. That certainly was the case for one motor rewind shop supervisor, who was charged with investigating a rash of failures at a small machine shop. He began his investigation into power quality by posing a series of questions to search for patterns that might lead him to the source of the problem. Suspecting non-linear loads originating from a neighboring business that shared a utility transformer with the shop, he connected his Fluke 43B to the main service panel to find out more. 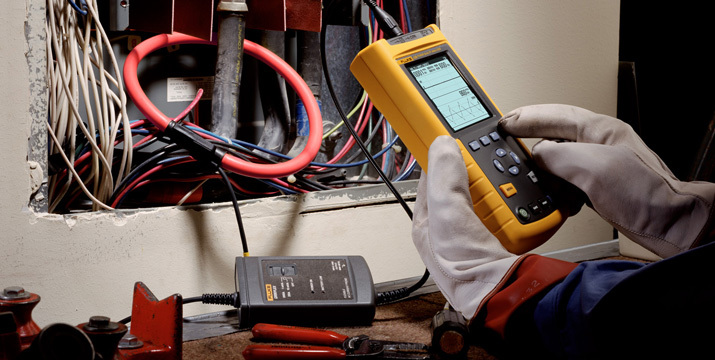 Using the Fluke 43B, he was able to identify significant total harmonic distortion. In response to the study, the local utility agreed to install a new transformer servicing only the machine shop. Download this free application note to read more about his experience and power quality analysis.